A friend of mine was gifted a Sony 64GB USB Drive by his Uncle.He wanted to back up his collection of Songs and Movies on his new 64 GB USB Drive as he was planning a full format of his hard disk.After the backup,the files on the USB Drive were corrupted.All the folders contained a single file with some random filename.Checking the properties of the USB drive in My Computer revealed that the capacity is 63.7 GB. Generally the actual capacity will never be as close as this one.Manufacturers consider 1GB=1000MB and not 1024MB.So the actual capacity of a 64 GB USB Drive will never be greater then 64000/1024=62.5 GB.But this USB drive was showing 63.7Gb.There was something definitely wrong with this USB Drive. I observed the USB Drive carefully.On side was ‘SONY’ and ’64GB’ and on the other side was ‘VAIO’ . ‘VAIO’ on a USb Drive?? ?.I was surprised as VAIO is SONY ‘s Laptop and they had no reason to print that a on a USB Drive. I went to http://www.sony.net/Products/Media/Microvault/products/index.html and compared the pictures of the USB Drives Manufactured by Sony and none of them matched the ’64GB’ USB Drive .As of now there were no 64 GB USB drives on the product page. I realized that this was fake USB drive and that its actual capacity is less than 64GB. 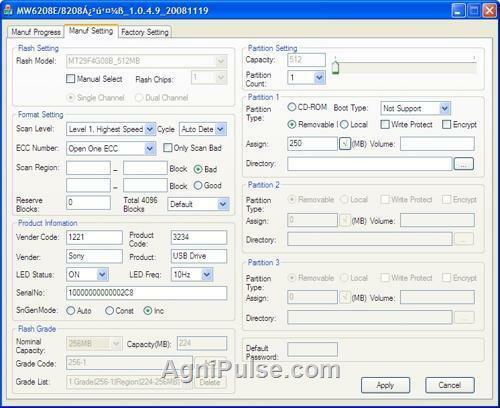 I had previously written about RMPrepUSB a formatting tool for USB Drives.This tool had an option to Test the capacity of a USB Drive.After a few dialog boxes RMPrepUSB reported that the USB Drive had only 243 MB of usable space.It also recommended me to check the capacity with H2TestW.H2TestW took almost an hour to test the USB Drive and finally reported that “The Media is likely to be defective” and that only 245MB was OK .
Now I was wondering how a USB Drive with only 245MB of usable space was showing up as 63.4GB in ‘My Computer’.It looks like the USB Drive was reflashed with a special tool which made it appear as 64GB.In order to fix it ,I had to find the right Mass Production Tool Corresponding to this USB Drive. 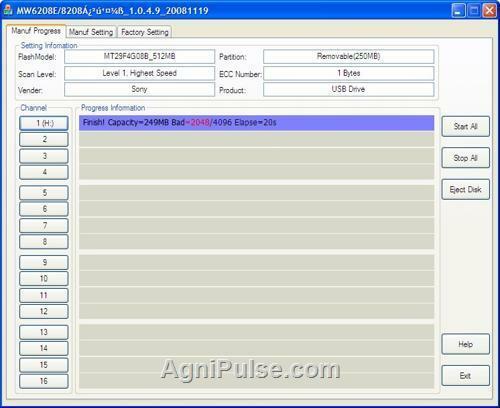 I used ChipGenius to find the details of the USB Drive.VID=1221 and PID=3234.Manufacturer = Ameco(Micov) .There was a link in the ChipGenius windows to the Mass Production tool corresponding to this USB Drive.However this link took me to a Chinese Discussion Board where I could not download the Mass Production tool as Registration was required and I was unable to register on that Discussion board. I went flashboot.ru and navigated to the Ameco Mass Production Tools.Here I downloaded Ameco MW6208E 8208 UdTools. This program installed a special driver and detected the USB Drive.In the Manuf Setting Tab I chose Level 1 Highest Speed and left the remaining options as it was.In the Manuf Progress windows I clicked on the Drive Letter corresponding to the USB Drive.The program scanned the USB drive and reflashed it to report the actual capacity i.e, 249MB. Now I tested the USB Drive again with RMPrepUSB and H2TestW and there were no errors.Checking the properties in My Computer showed 249MB. I’m from Madagascar and usb key with fake capacity is a real business for both chinese vendor and malagasy. Here there are 2GB, 32 GB, etc. any capacity you want and at very affordable price. It’s work until you store data sized more than the real capacity. You can have fake capacity with copied model of ipod, mp3 player labeled sony or whatever brand you want !! And of course, no guaranty for the consumer. Thank you very much, your process will help so much. With all little reading around and looking for solution I used Chip Genius to identify the chip on the drive, SM3252A Memory Bar with a SM3211BC1 Chip. 1. Multiple Erase All selecting the contents on Port 1 and 2, without changing any settings . 2. Then running the tool once with the default.ini configuration, erasing bad blocks. I have some screenshots (unable to attach here, can provide by email). Can anyone please guide me with the settings so that I might reclaim the UFD for normal use. I have sent you a mail.Please reply with the screenshots. So what exactly did you fix, dude? The title misled me into believing that you somehow recovered the ‘promised’ 64GB. From what I can gather you fixed it to show the correct capacity “249MB” which is what the pendrive was good for anyway. Maybe I was expecting too much. It’d be nice if one of you ‘techies’ tell us morons if we could somehow salvage some of our money’s worth ( maybe recover even 4-8GB of the promise 64!!) But then we needed to learn a lesson and not fall for bargains that are ‘too good to be true’ and end up with duds! Well, manufacturers are right. Check it out on Wikipedia. The 1024 MiB (not MB) make 1 GiB, but 1000 MB make 1 GB. It’s all perfectly fine. Storage manufacturers are not fight. There is absolutely no BASE10 when it comes to computers, software or electronics. They use this as a marketing gimmick because the numbers sound bigger. 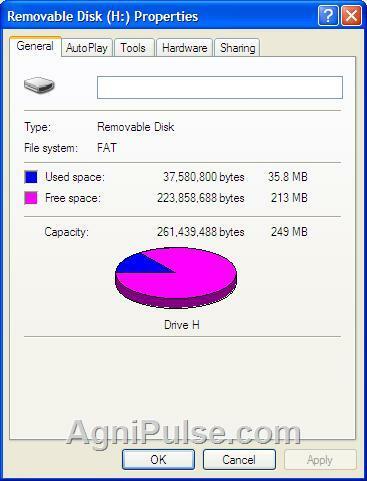 In reality all such drives have less ACTUAL space than what they are advertised as. The prefixes Kilo, Mega, Giga are debatably wrong at the time they were attached to binary quantities but since they were and the entire industry uses them to refer to powers of 2, storage manufacturers should also respect them. Notice that it is only storage manufacturers that actually use them this way. If they wanted to be “correct” they would have to use the later coined up GiB terms. So an advertised 32GB drive should be advertised as a 29.8GiB drive. But that defeats their purpose at false advertising. Hello, I have a bad 16gb flash memory with control sm3257EN and I need to fix it, I have tried to enter in the Russian places where I am suggested that this their remedy but I have not been able to. Do you have some suggestion to solve my problem?. 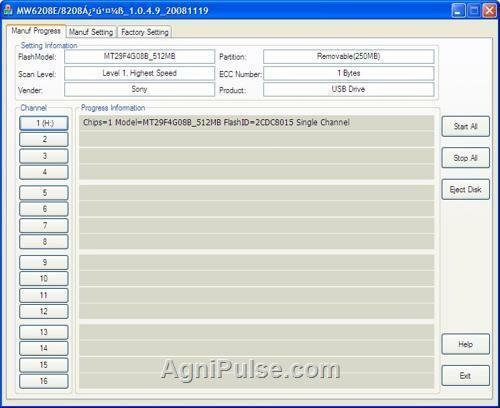 Can you post the output of ChipGenius for your USB Drive? Just picked up two micro SDs online; running tests on them now. Looks like one was originally only 8 GB, but both were sold to me as 64 GB. They seem to work fine in practice, but tests show errors and lost data, so I expect they may have storage issues beyond 8 GB. Don’t expect high capacity flash storage for 10 bucks. Most customers will buy them, try them and see that they read and write a few files fine, assume they are okay; then a couple months or more down the track when they start to exceed their original capacity, they will likely have issues and lose data.